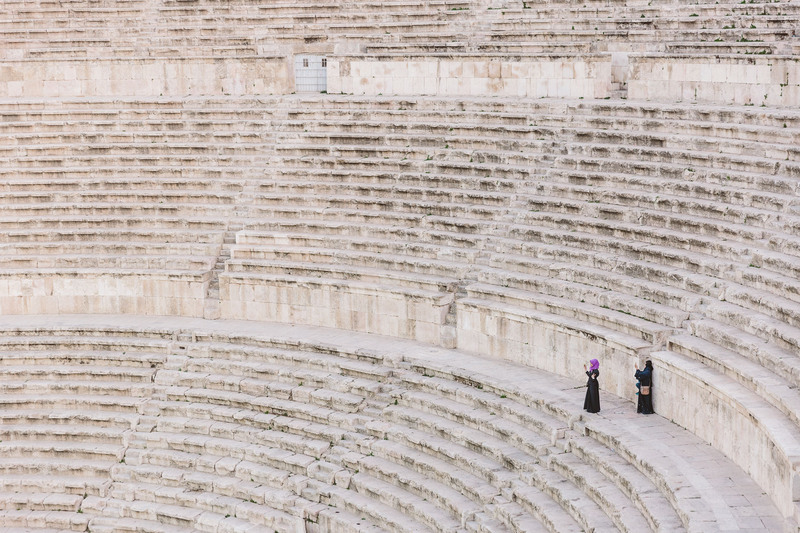 We spent 24 hours in Amman as part of a project for Visit Jordan. Unfortunately many visitors skip Amman when they travel to Jordan and favour the sights in Petra, the desert of Wadi Rum and the Dead Sea. 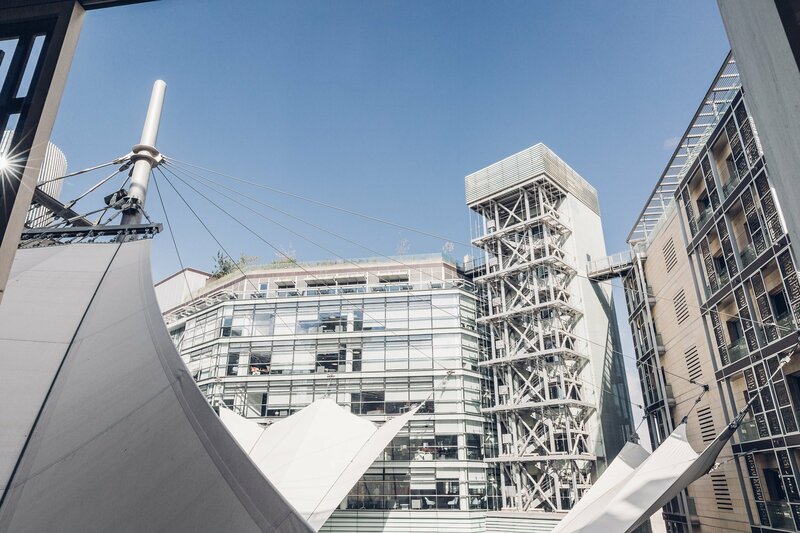 Personally we love a combination of city, culture and nature travel and think it’s the best way to understand a new destination to explore both urban and natural areas. 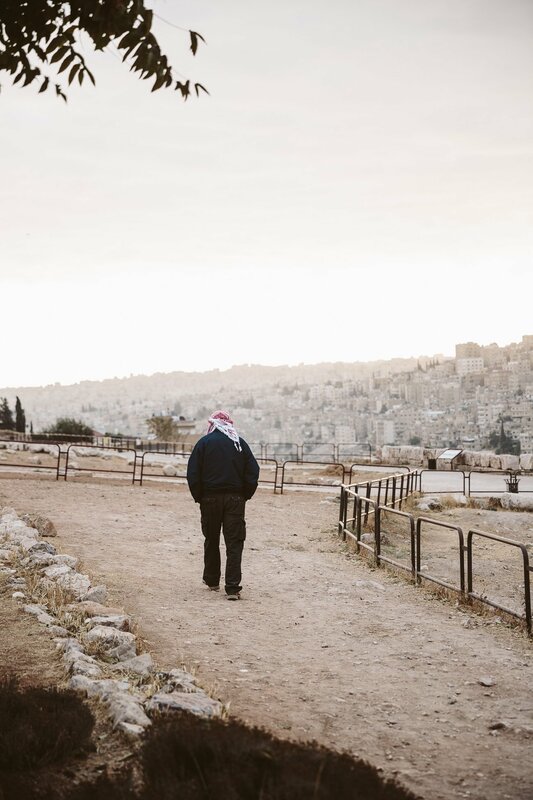 Amman might not be a classic city destination, but it gives a great insight into the culture and recent political developments in the Middle East and Jordan specifically. 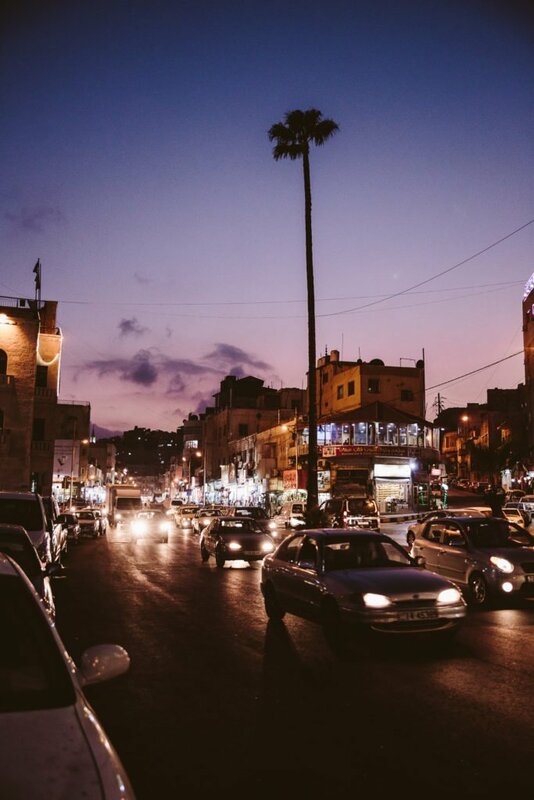 Amman has a rich history, but has been truly transformed in the last 70 to 80 years. 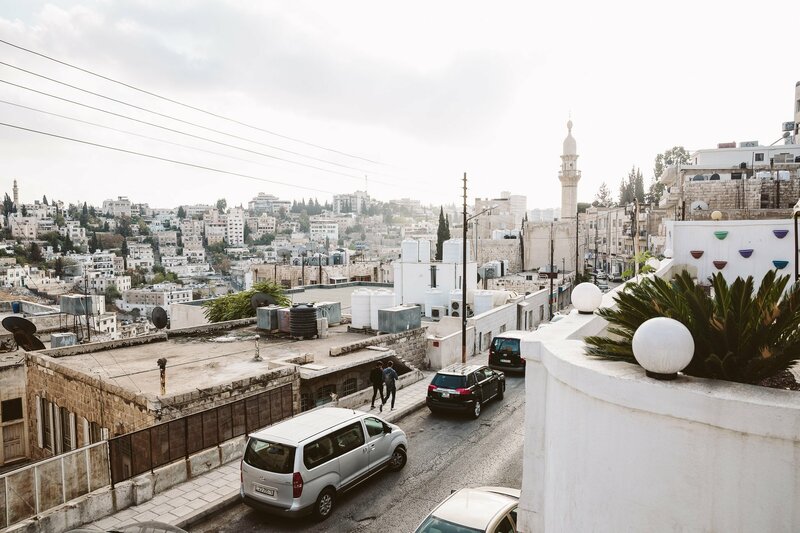 While Amman only had around 20.000 inhabitants in 1940, today it’s home to over 4 million people – most of them being immigrants and refugees from several waves of migration in the past decades. This makes Amman a melting pot of cultures and societies and explains how the city is literally exploding in growth during the last years. Amman used to be built on 7 hills (yes, just like Rome), but now spans more than 19 hills and is ever expanding these days. As the inhabitant numbers are increasing heavily – also due to influx of Syrian refugees – the city is trying to find it’s new place in the world. 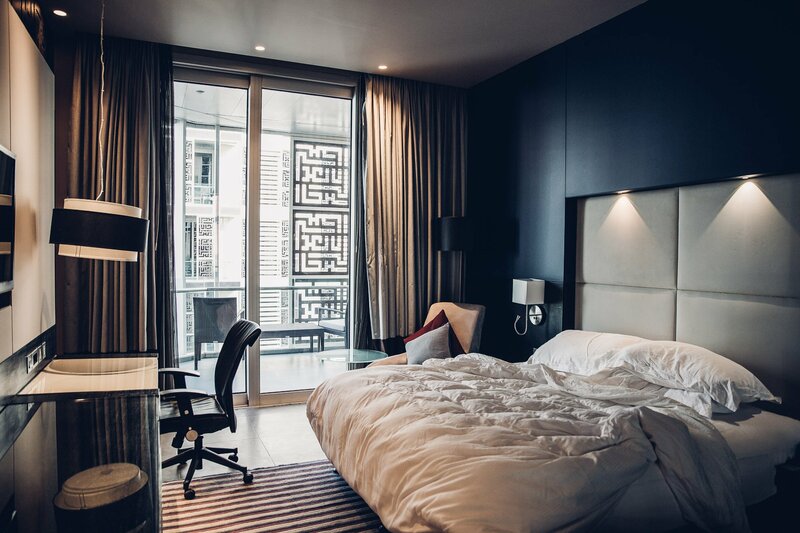 We stayed in a completely new quarter called the “Abdali project” – valued at 5 billion dollars this should become the new business and tourism hub in the city. 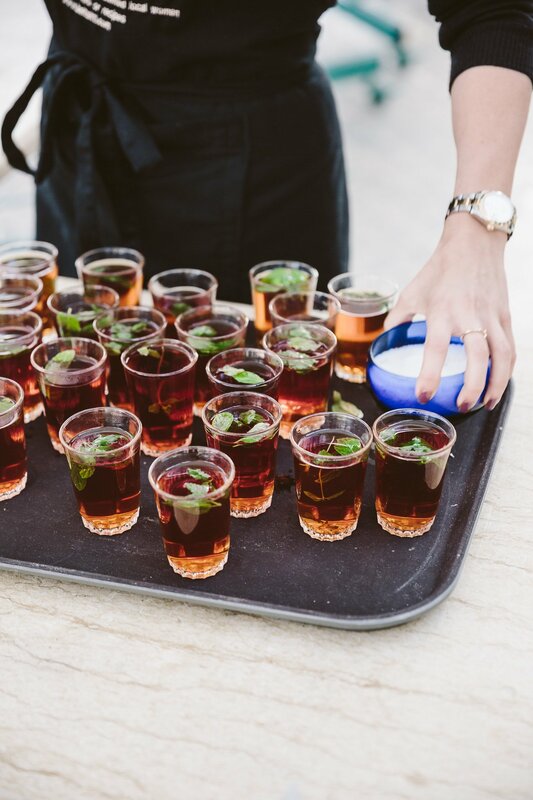 While locals call the Boulevard – the Main Street, that is lined by high rises with rooftop pools – the “Champs Elysees” referring to Paris’ famous avenue, for us it still felt like slowly awakening from it’s city development stage. 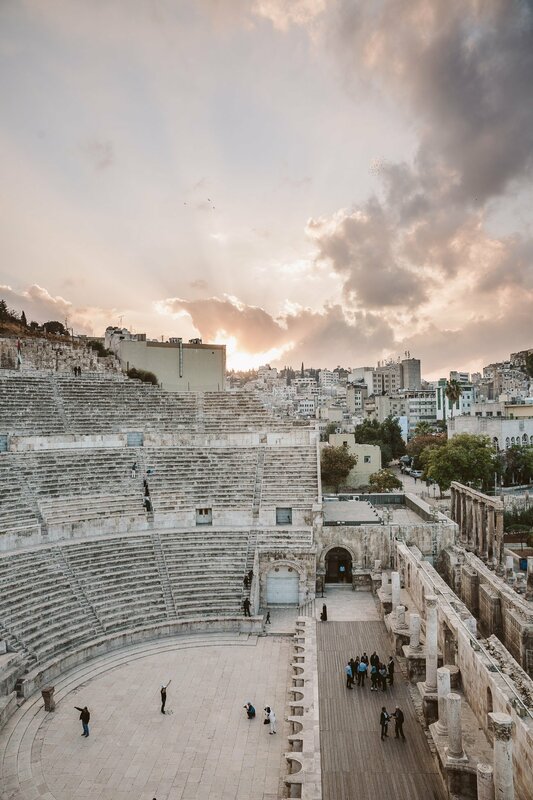 It will be interesting to see how Amman develops in the coming years and how it’s rapid growth can be accommodated without loosing it’s charm and ancient historic foundation! In the meantime it’s worth to visit Amman for a day to get a glimpse of the new 21st century Jordan. 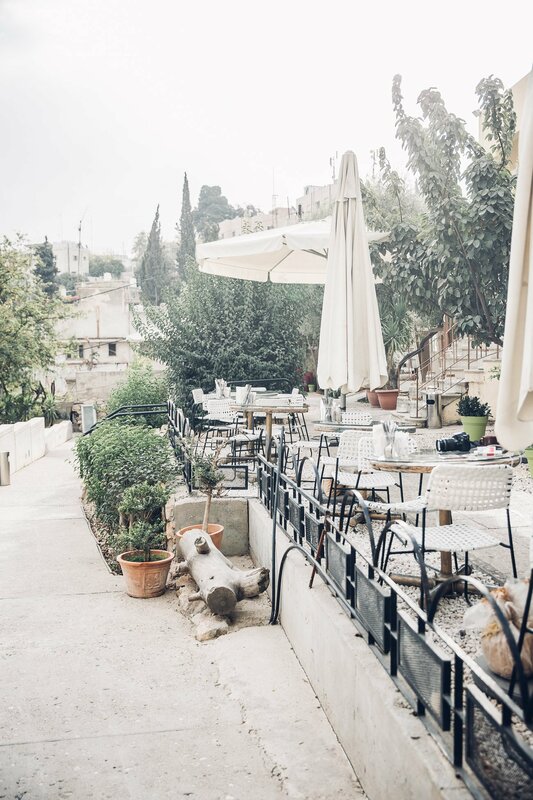 This breakfast and brunch restaurant “Shams El Balad” is located near Rainbow Street in a lively neighbourhood close to the Amman Citadel (one of the main attractions). 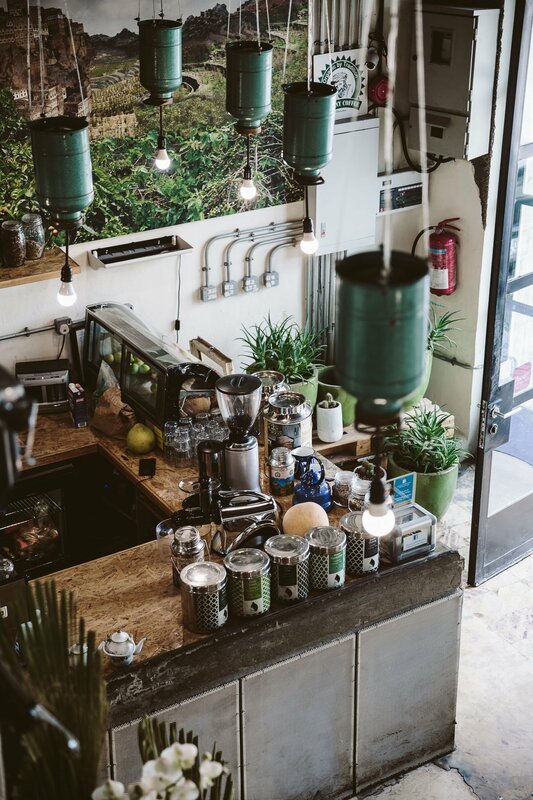 It has a huge rooftop garden with olive trees and an incredible selection of local foods, smoothies, traditional coffee, tea and juices. 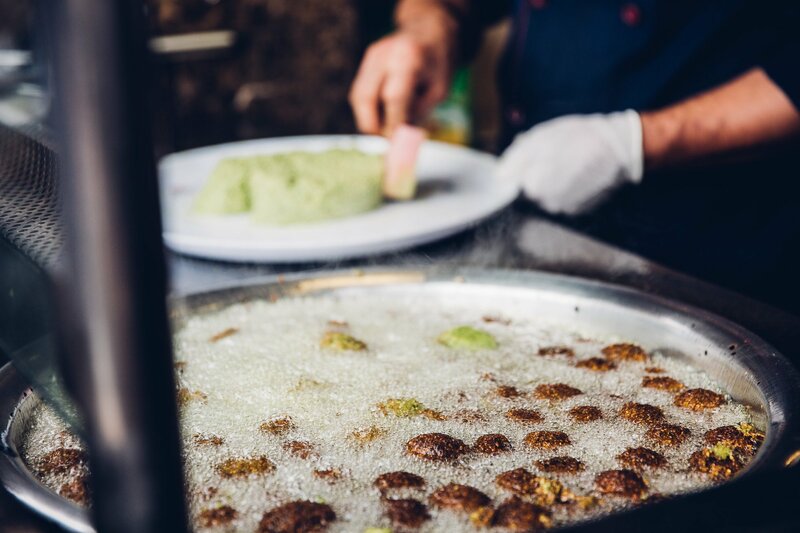 If you come in a group make sure to order multiple dishes to share for an original Arab breakfast. 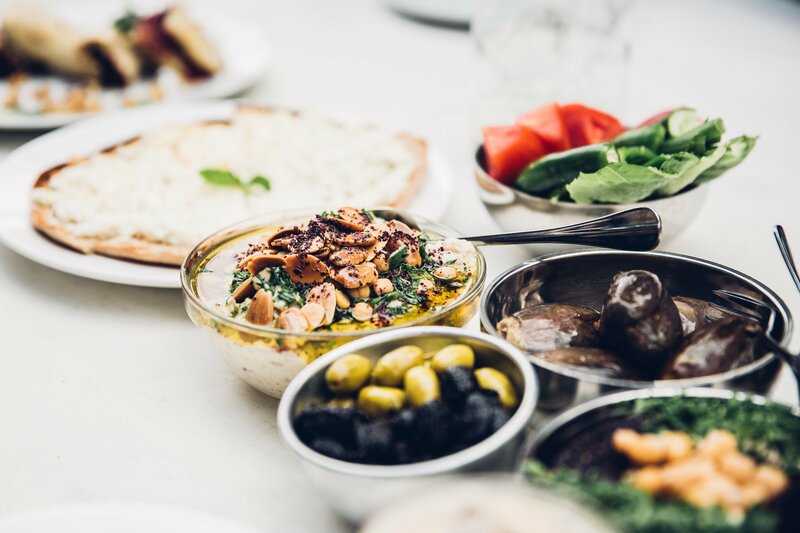 We got everything from the obvious Hummus, pita bread and olives to omelets with local cheese, Za’Atar clad Arabian “pizza” and so much more. 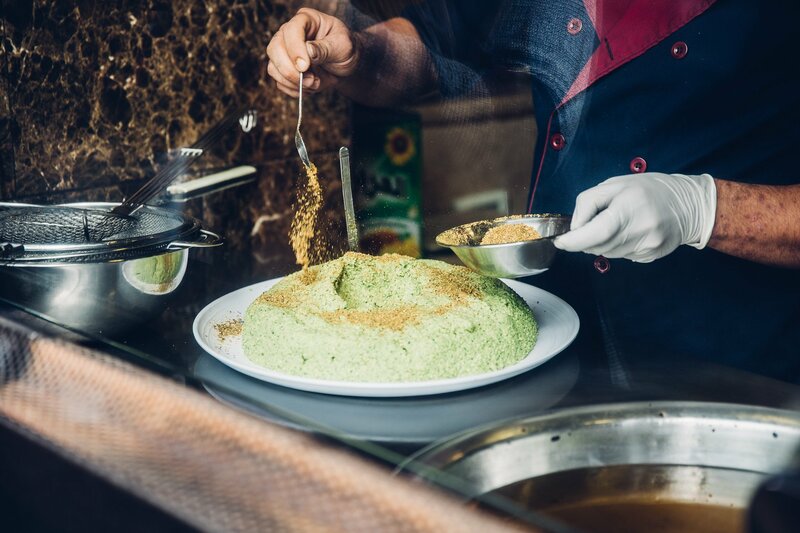 It’s always a shame that you can’t eat it all, but that’s part of the Arab culture – they’ll just spoil you with food until you have to unbutton your jeans. 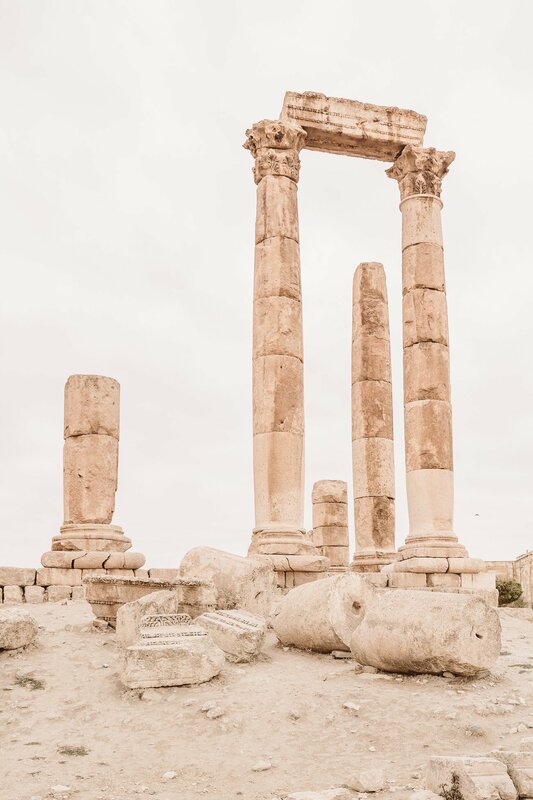 The Citadel is the landmark of Amman – with the Temple of Hercules and the Umayyad palace it allows a glimpse into the multitude of cultural influxes and periodic rules in Jordan. 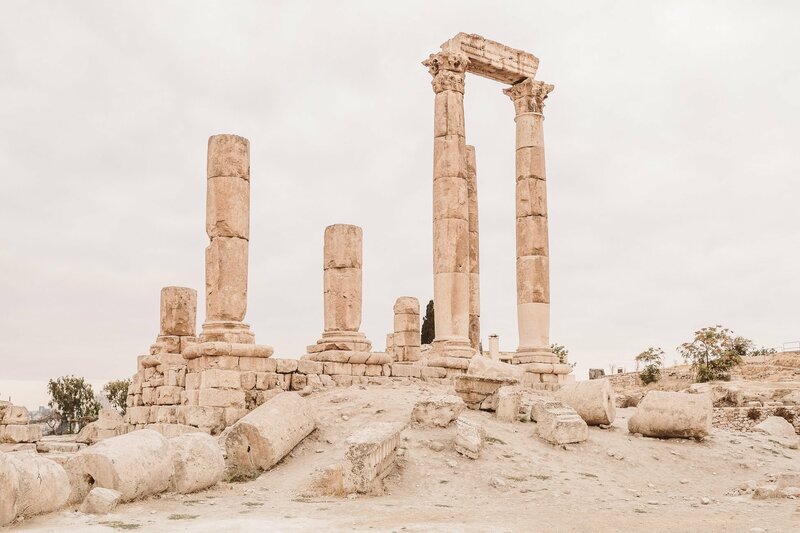 From Romans to Byzantine and the Umayyad caliphate, Amman had seen a lot of different rulers and periods of ups and downs until it was more or less abandoned in the 15th century. 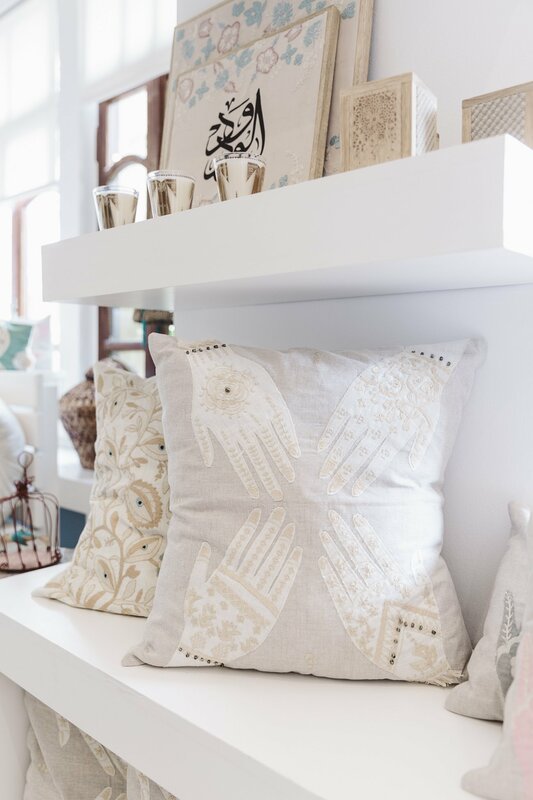 One of the goals of the Jordan River Foundation is to pass on knowledge and build up a structure of local handcrafts workshops targeted towards women, that can then work from home. 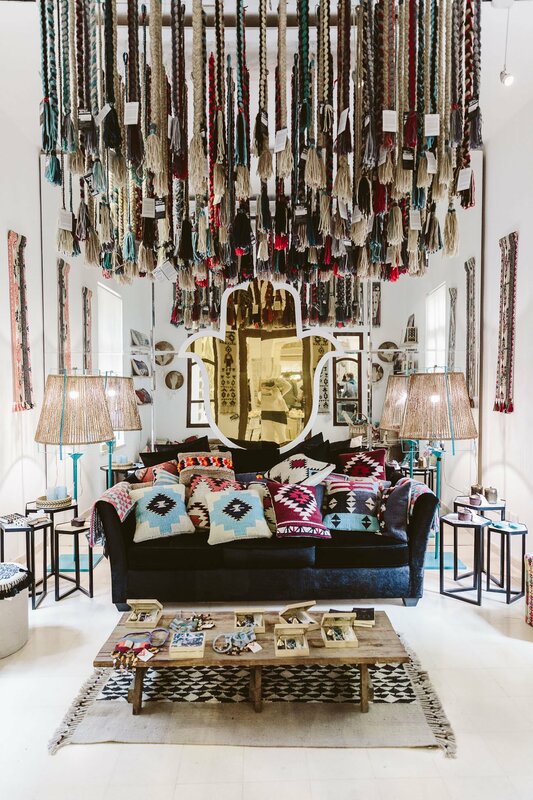 It’s about community and female empowerment – but it’s also simply speaking just a wonderful showroom with beautiful products to buy and support the cause. 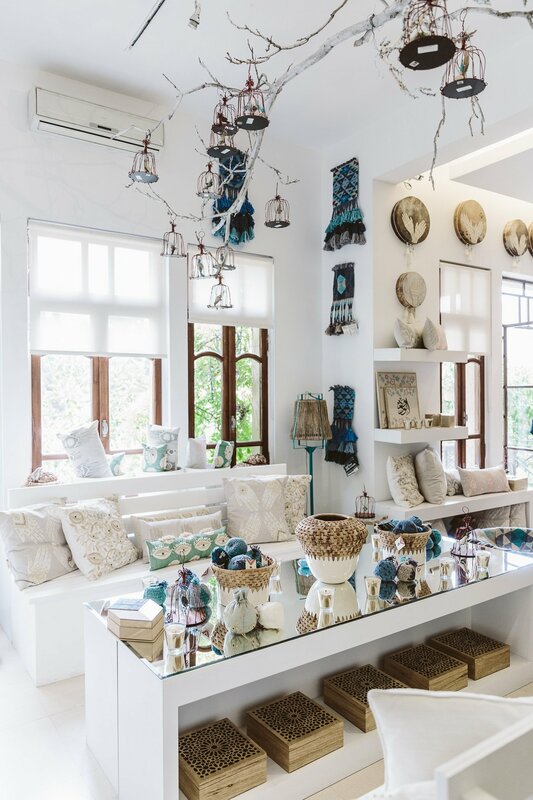 From pomegranate embroidered cushions to olive oil products, banana leaf baskets, weaved wall hangings – you’ll want to buy it all. Her Majesty Queen Rania will be delighted (she chairs the foundation since it’s inception in 1995). 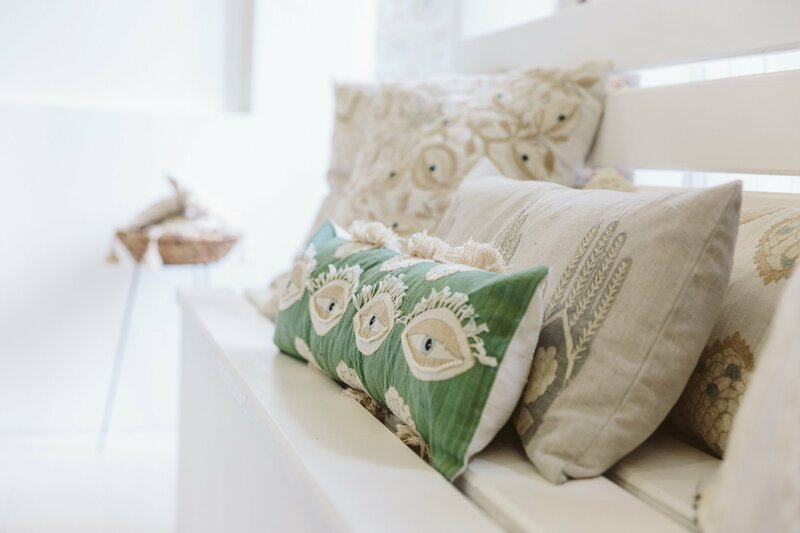 You can also shop online at Jordan River Designs. 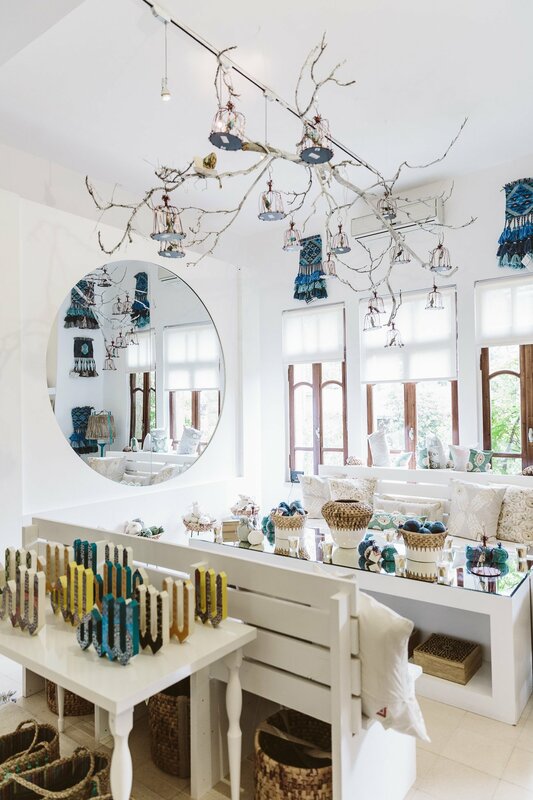 Beit Sitti means “Grandma’s house” – and that’s exactly what it is and how coming here feels. 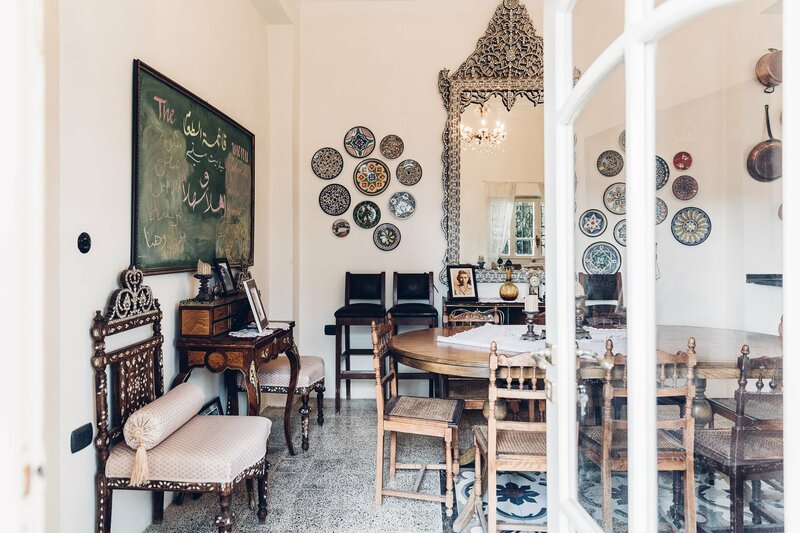 This former home of the grandmother of three sisters is now a cooking school in the upper level and a restaurant on the ground floor. Nowhere else you’ll feel as part of the family as quickly as here. You’ll eat amongst grandma’s old photos and memories – her grandkids have preserved her spirit perfectly (and will gladly share one or two of her personal stories). 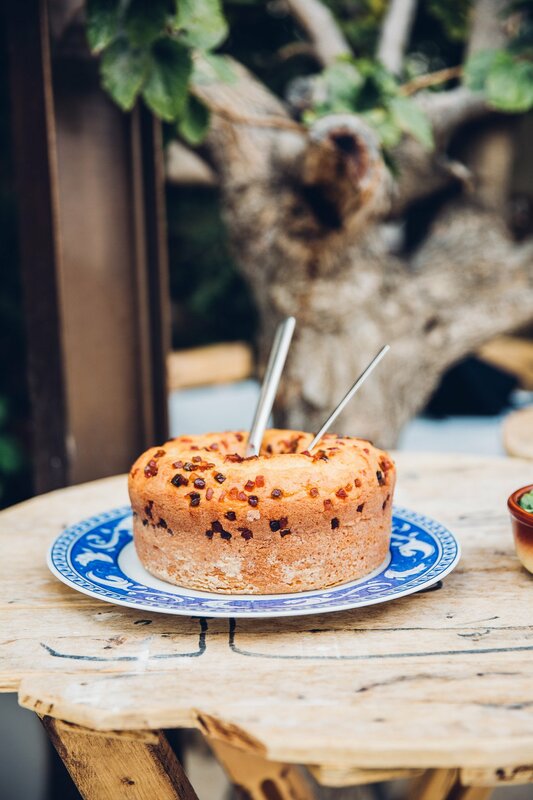 Bonus: The food is all freshly prepared, traditional and amazing! Nowhere else the oven smoked aubergines tasted as good as here. 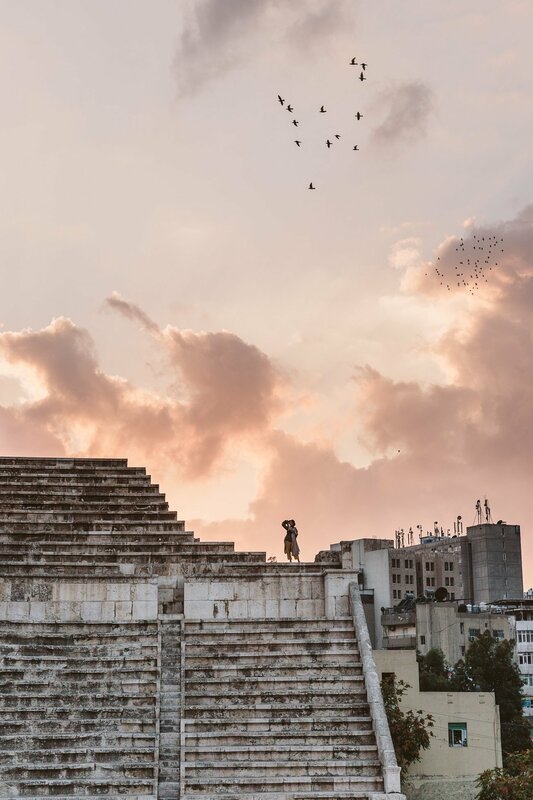 When the sun sets the muezzin calls for prayer and hundreds of doves circle around the city. This spectacle is best seen from the Roman Theatre. It was built for 6.000 visitors and still hosts concerts and other events nowadays – just a few centuries later… pretty impressive! You can climb up the (rather uneven) stairs and overlook the surrounding hills of Amman. Nearby you can spot the Gold Souk come to life (we recommend to stroll through here afterwards and maybe buy a gold bangle or two). 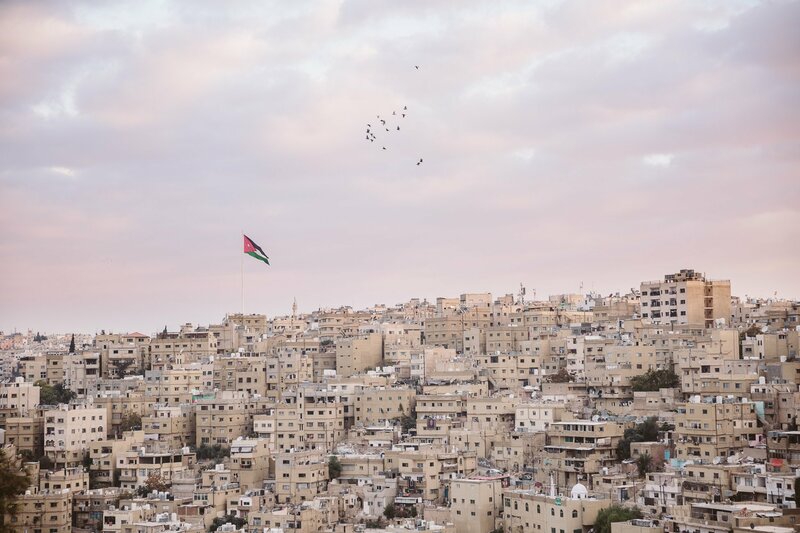 Watch our short video from #AMMAN24! We recommend you fly directly to Amman – either by Royal Jordanian or with your local carrier if possible. 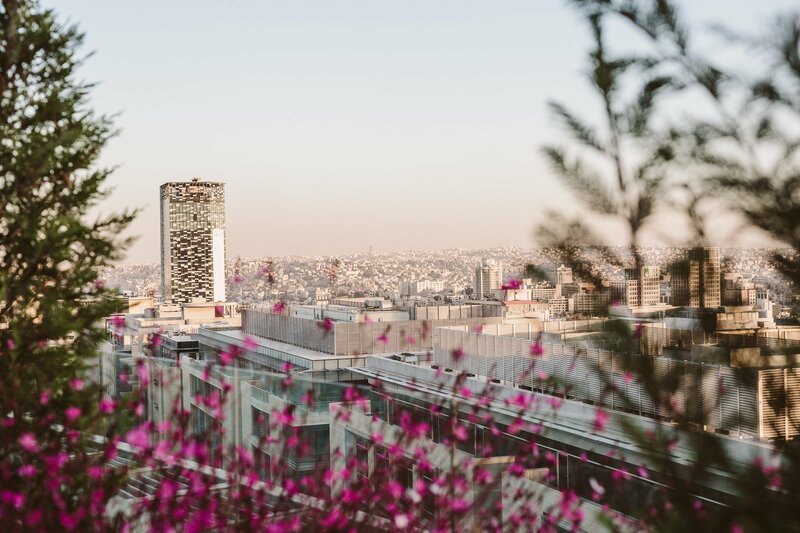 From Vienna there’s direct connections to Amman 3 times a week (Tuesday, Thursday and Sunday) with Austrian Airlines – flights take 3,5 hours and start at around 400-500 Euros. You’ll be greeted at the Queen Alia International Airport, which has been transformed into an architectural highlight in 2013 by Foster + Partners. Unfortunately we didn’t have time to take photos at the airport, but if you’re interested in architecture do plan to explore it a bit – the rooftop construction is stunning (and was inspired by Bedouin tents). If you’re a European Union citizen you can obtain your Visa directly at the airport (costs 40 JD, around 48 Euros). We stayed at the 5 star hotel “The Boulevard Arjaan” by Rotana. 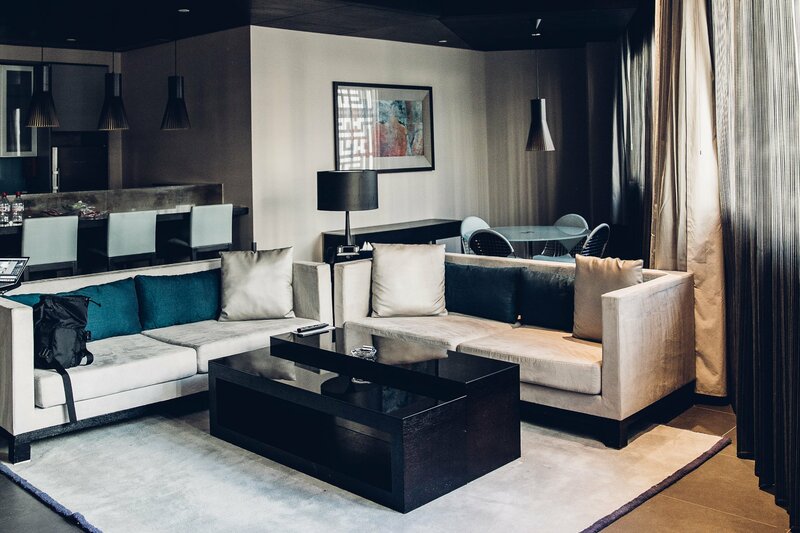 The apartment hotel was opened in 2014 and is located in one of the six high rise buildings directly at the Boulevard (that also houses a modern shopping mall, fitness center, rooftop pools, etc.). For a rate of around 135 JD (165 Euros) per night you’ll get a One Bedroom Suite with a huge living and dining area, a big bedroom with a balcony and a bathroom that actually consists of three separate “rooms” (one for the huge bathtub and shower), one for the sinks and another one for the toilet. The hotel is incredibly modern and probably suits needs of business travellers most. For a private visit we find this hotel to be a little too “sterile” and internationally designed. It doesn’t feel like you’re in a Middle Eastern city, but maybe that’s also what they want 😉 If you stay there make sure to ask for a room up in the higher floors to get a view of the city (we stayed in the second floor and didn’t have a view unfortunately). In the meantime you can follow our adventures live on Instagram: www.instagram.com/ladyvenom and www.instagram.com/lionheaded. Disclaimer: We were invited to visit Jordan by the Official Tourism Board. The views in this report are our own.